ISLAMABAD: Barrister Usman has been assigned Miinstry of Defence Production, according to a notification issued Thursday by Cabinet Division. 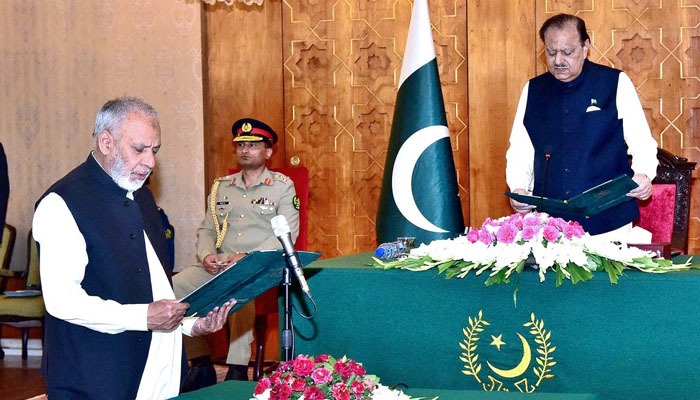 Earlier, President Mamnoon Hussain administered oath to Barrister Usman Ibrahim as federal minister. He was serving as the Minister of State for the Ministry of Human Rights. The PML-N has inducted five new federal ministers in the last few day taking the number of ministers to 59 in the cabinet.